It's that time of year... back to school! I wanted to do a little series of back to school looks during the next couple of weeks in hopes of giving you guys some ideas on days you seem to be uninspired. This first look is definitely inspired by the summer. I'm sure for most of us, the weather is still nice and warm in our areas so our summer wardrobe still applies for the beginning of the school year. 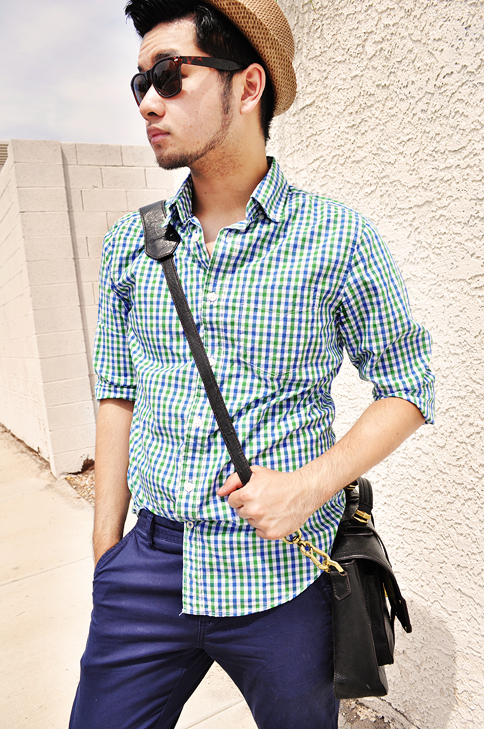 A button up shirt casually tucked into my cuffed trousers allows this outfit to look effortless. I based this look around my new Sperry boat shoes. With these green shoes being my focal point, I wanted to pull complementary colors for the rest of my outfit. Shades of blue and brown allow the shoes to do all the talking. 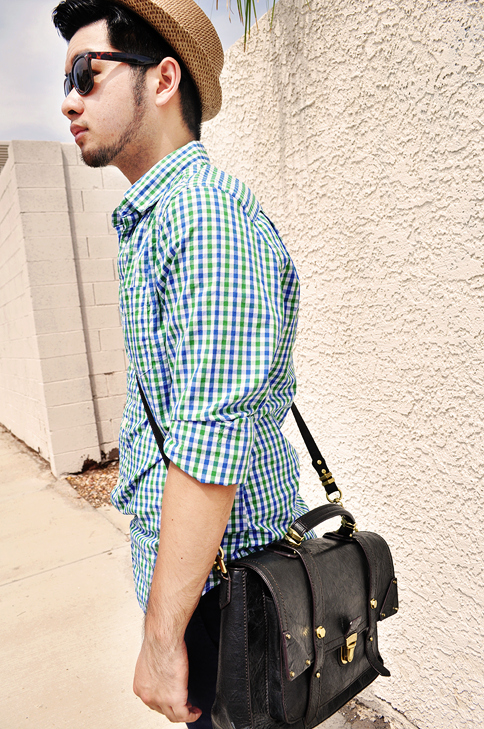 I'm using a black satchel to help neutralize the look because I know for some, "color" can be a tad bit intimidating. 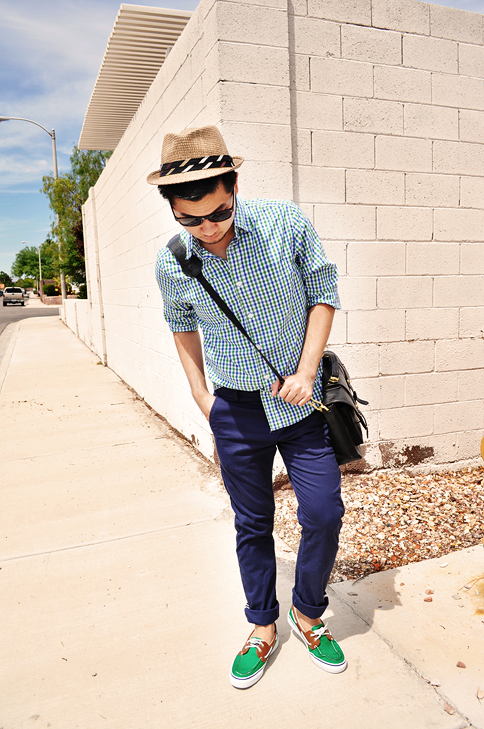 A simple pair of wayfarer sunglasses and a woven fedora completes this summer inspired back to school look.